The series SOCIAL STUDIES SUCCESS is a set of five books for students of Classes 1 to 5. It is strictly according to the latest National Curriculum Framework (NCF) meant for schools affiliated to CBSE and other schools affiliated to various State Education Boards. Each book in the series is supplemented with ANIMATED CD, TEACHER'S RESOURCE BOOK, ONLINE SUPPORT and E-BOOK for teachers. This innovative series opens up new vistas for the students. They are led step by step towards an understanding of themselves, their homes, families and their environment. This knowledge, in turn, leads them to understand the role they have to play in this rapidly changing and ever-shrinking world. THINGS I HAVE LEARNT : Summarises important points in the lesson for easy recapitulation. KEY WORDS : Gives difficult words and their meanings. THINK AND ANSWER : Various types of Assignments for Summative Assessment. DO AND LEARN : Various types of Assignments for Formative Assessment. SURF AND LEARN : Includes various website for enhancing the knowledge of students. ANIMATED CD : Contains animated lessons to make the concepts and the contents easy to understand. 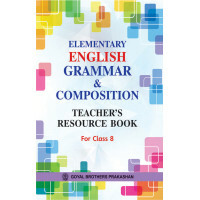 TEACHER'S RESOURCE BOOK : Contains an overview of the lesson, teaching plan and answers to textbook questions. ONLINE SUPPORT : Contains animated lessons, interactive exercises, maps, photos, glossary, facts, important days and milestones. E-BOOK FOR TEACHERS: Incorporates a number of tools to allow the teachers to play animated lessons, highlight, hide and reveal the text and insert notes.